Top Ten Ultra Luxury Mansions for Sale in Central Florida. 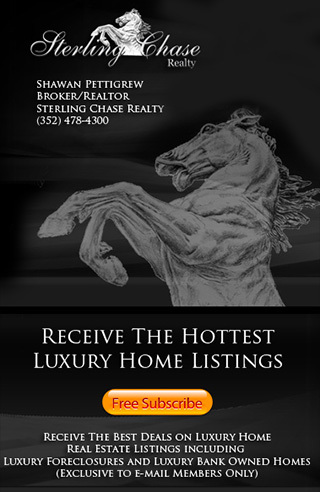 View The Top ten List for Best Deals on High-End Estates, Dream Mega Homes, Ultra Luxury Mansions and more! Are you searching for that Luxury Mansion , Waterfront Dream Estate or Luxury Golf Front Property? Than you are in the right place. Every week we showcase the top ten Ultra Luxury Homes for Sale. While these listing only represent a list of our top ten we also have knowledge of deal that do not appear on the internet, to find out more please contact us at 352.404.4622 seven days a week.